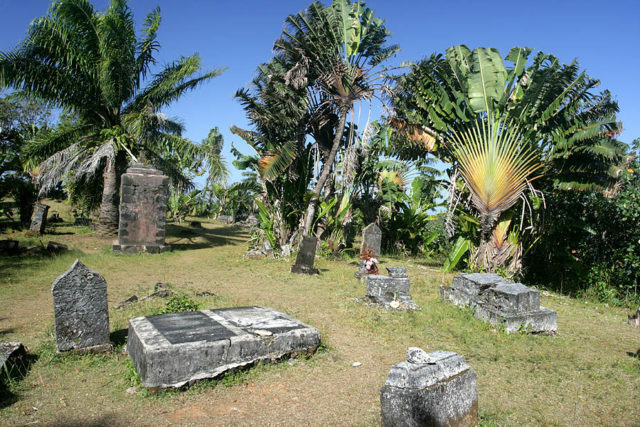 In the 17th and 18th centuries, Ile Sainte-Marie (or St. Mary’s Island as it is known in English), a long, thin island off the eastern African coast, became a popular base for pirates. Up to 1,000 pirates reportedly called the rocky island home, including widely-feared brigands Adam Baldridge, William Kidd, Olivier Levasseur, Henry Every, Robert Culliford, Abraham Samuel and Thomas Tew. They lived in the île aux Forbans, an island located in the bay of Sainte Marie’s main town, Ambodifotatra. 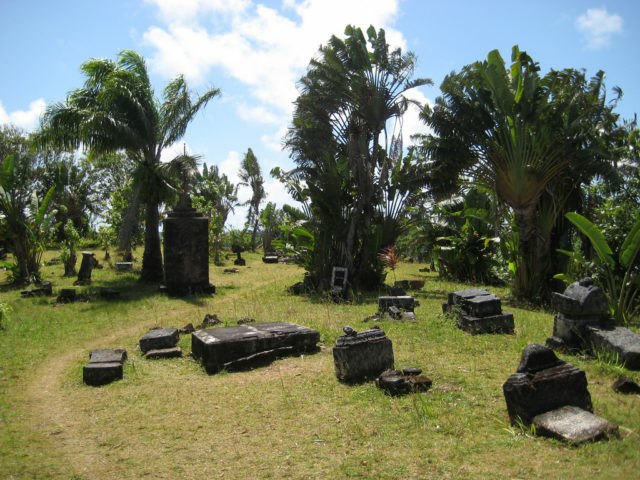 This place was not far from the maritime routes along which ships returning from the East Indies sailed in transit, their holds overflowing with wealth, it was provided with bays and inlets protected from storms and finally, it had abundant fruit and was situated in quiet waters. The beautiful tropical island’s numerous inlets and bays made it the perfect place to hide ships. 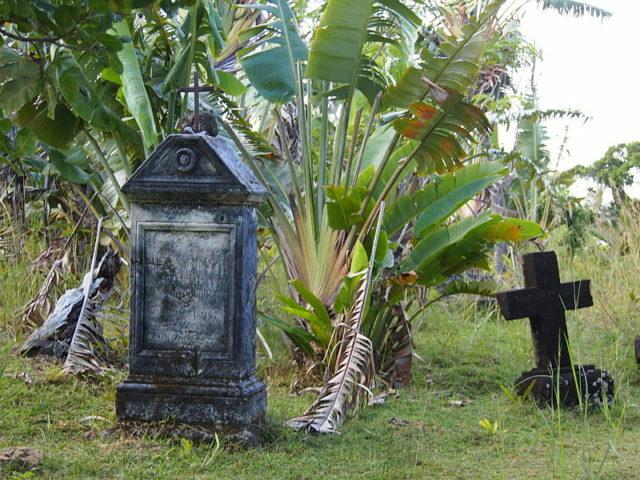 The pirates sailed mostly from England, Portugal, France and America to make this island off the coast of Madagascar a home, a hideout and a strategic place. 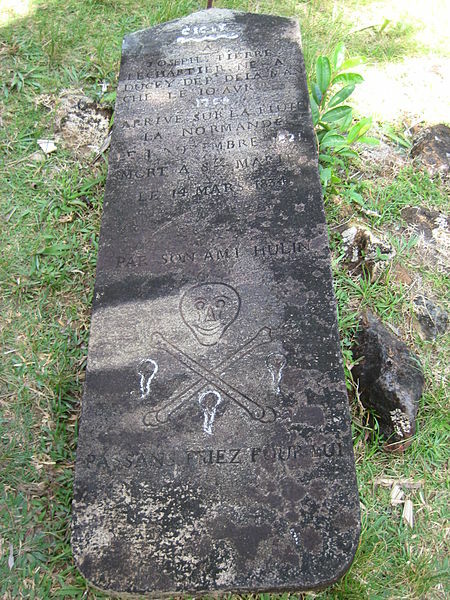 With so many pirates abiding on the island, some even raising families at the time, it’s no wonder Sainte-Marie claims to have what may be the world’s only legitimate pirate cemetery. 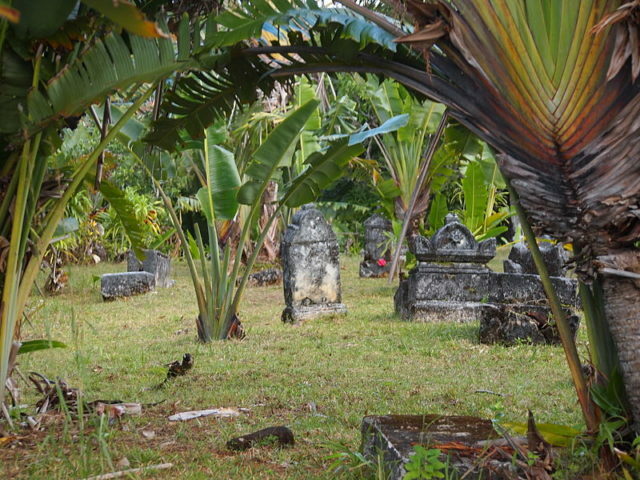 In the center of the cemetery, there is a large black tomb that locals say is the final resting place of Captain Kidd, buried there in an upright position to punish him for his sins.